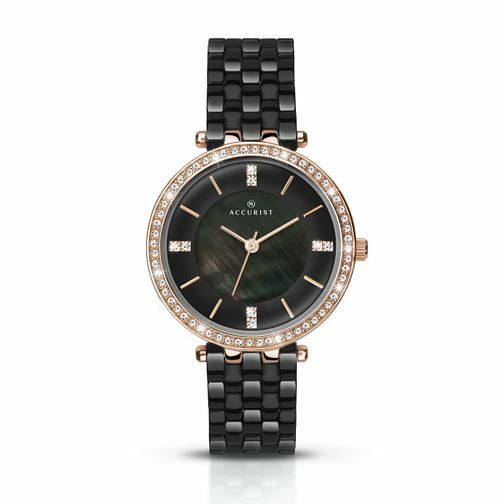 This beautiful Accurist watch makes a bold style statement and will ensure you look stylish whatever the occasion. This striking timepiece features a two-tone rose gold plated stainless steel case embellished with Swarovski® crystals surrounding an elegant grey mother of pearl dial set with 8 crystals. Fastened with a comfortable dark grey ceramic bracelet, this watch is one you will never want to take off your wrist. Accurist Ladies' Ceramic Crystal Watch is rated 5.0 out of 5 by 1.